Simple and Universal, the #int-ak kit consists of a base stay with standard tripod screw and one 30 cm (11.8 inch) flex arm for mounting strobes or video lights to an underwater camera housing. 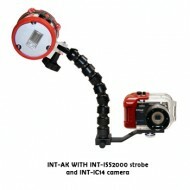 The tripod screw is adjustable and will fit virtually all housings using a tripod screw mount system. The versatile flex arm allows full range flexibility for variable lighting angles. 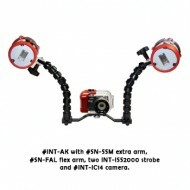 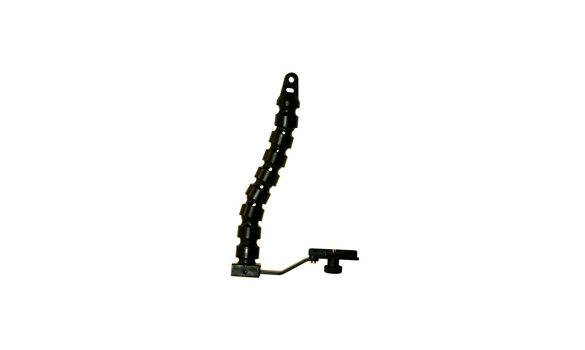 (main image shown is the single kit with extension and second 30cm flex arm).